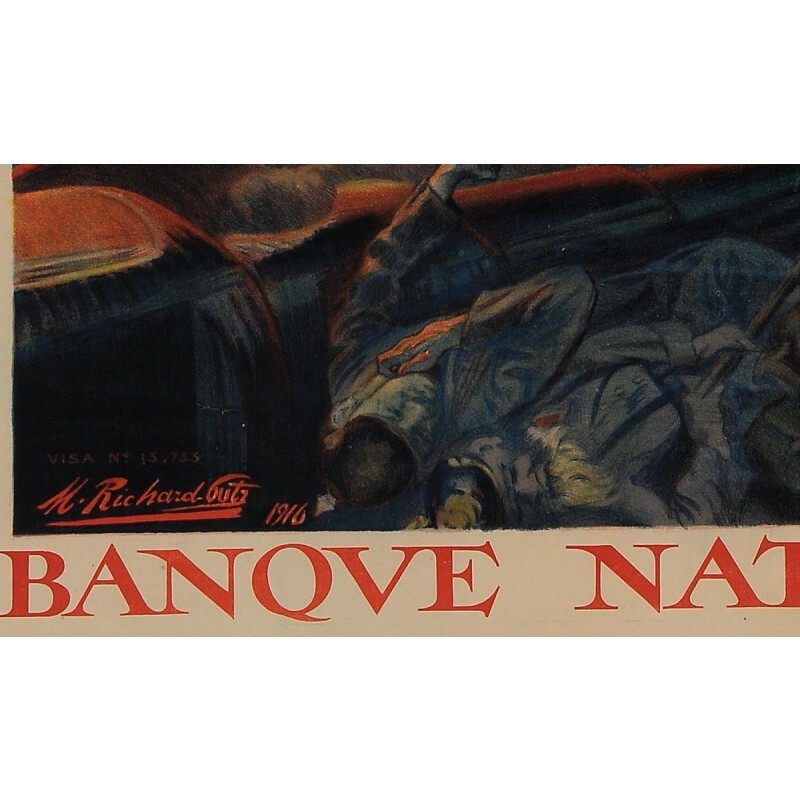 An important French propaganda poster realized by Richard-Gutz in 1916 during World War I, to promote the National Credit Bank. 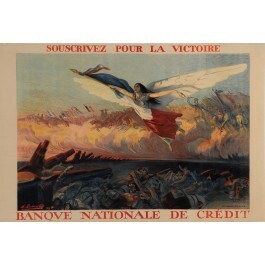 A young woman takes the role of 'Victory' and is flying over the battlefield. The allies are following her into the war.